You will find that there are a couple of different ways to change both the color fill and color stroke options in Illustrator, this guide will show you the different ways. You can get started by creating yourself a new document to work on and selecting the shape tool and drawing a basic shape on your document. Let's first take a look at the color options in the Toolbar. Take a look at the image to your left to see what we will be discussing in this section. 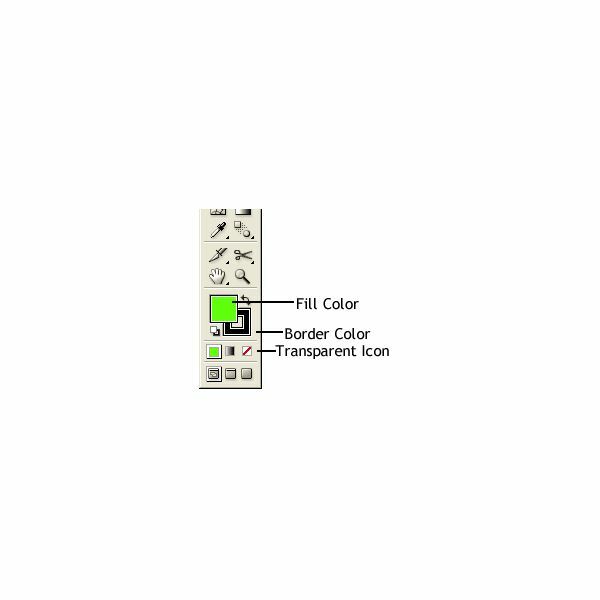 The top color block in the panel is the color fill box. The bottom color box is the stroke fill box (border color). To change the color of the boxes, you will need to double click them. When you double click one of them, the color box will open. You can select the color of your choice by clicking a color. 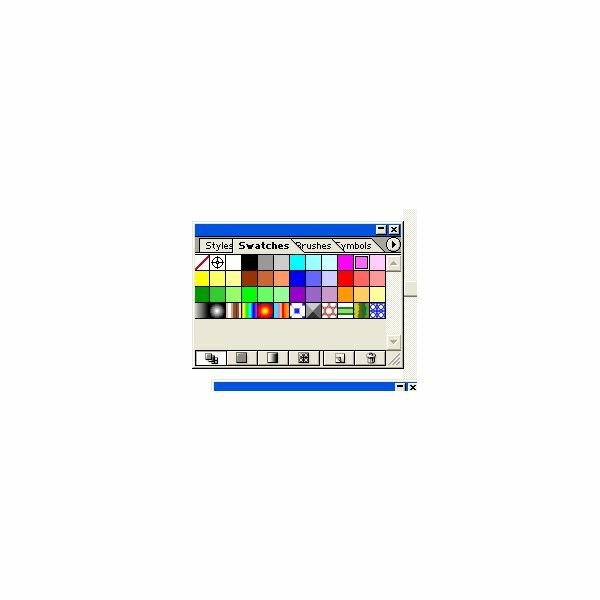 You can also change a color to transparent using this same toolbar. If you want to change the color fill to transparent, click the color fill box and click the transparent icon at the bottom of the toolbar. The transparent icon is a white square with a red line through it. To change the border color to transparent, click the stroke box and then click the transparent icon. There is also a panel called swatches. You can use the swatches panel to change the color of the color fill and the color of the stroke. The Swatches panel is located on the right side of your screen. If the swatches panel is not opened, you can go to the top of your window and click Window > Swatches. That will open the swatches panel. To use a swatch color, click the shape, and then click the color that you want to apply to it. To apply a swatch color to the stroke or border, you will need to click the stroke box in the left toolbar one time. Then click a color in the swatch panel. To use is for the color fill, you will need to click the top box one time in the toolbar on the left. Then you can click the color in the swatches that you want to apply to the shape. There are more swatches that you can use. To open more swatch panels, go to the top of your Illustrator window and click Window > Swatch Libraries > and select the swatch of your choice. The new swatch panel will open in your Illustrator window. Use these swatches the same way that you used the above swatches. All screenshots were taken by the author for educational purposes only.